Guilin Liangjiang International Airport is located in Liangjiang, Lingui district, about 28 kilometers from Guilin downtown. It is one of the biggest airports in Guangxi, and there are plenty of non-stop flights landing Guilin from major cities in China. Yangshuo is located in the south of Guilin, about 70 kilometers away from Guilin downtown, and it is a county, subordinated to Guilin. Yangshuo is a sightseeing destination, renowned with its karst landscape and beautiful scenery. From Guilin Liangjiang International Airport to Yangshuo, the distance is about 86 kilometers, and takes about 1.5 hours, if driving through the expressway. 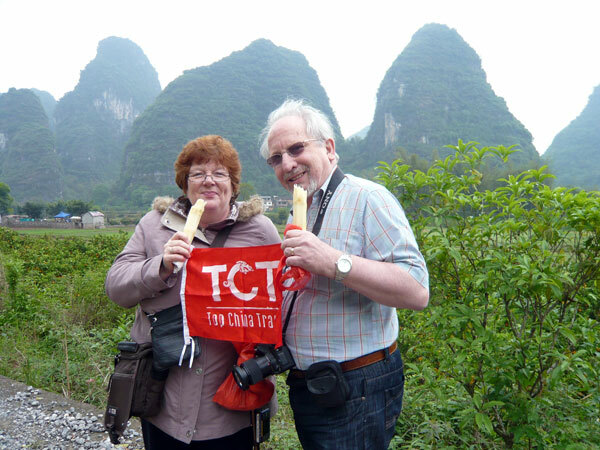 Guilin and Yangshuo are two sightseeing places, with convenient transportation travelling between this two places. Here are some options for you to travel to Yangshuo from Guilin Liangjiang International Airport. Airport express bus from Guilin to Yangshuo in Guilin Liangjiang International Airport are available for tourists, and it travels about 90 minutes with a ticket of 50 yuan, and stops at Yangshuo Bus Station, which is in the county center, and close to Ten-mile Gallery Scenic Area. From Guilin to Yangshuo, it starts at 09:30, 11:00, 12:30, 14:00, 15:30, 16:30,18:00 and ends at 20:00. From Yangshuo to Guilin the airport express bus starts at 07:00, 09:00, 11:30, 13:00, 14:30, 16:30, 17:30 and ends at 19:30. If you have any problems, you could contact Guilin airport (tel: 077372845355), or Yangshuo Bus Station(tel: 07736916828). If you want a simple and easy journey, you could take a taxi from Guilin airport to Yangshuo. The taxi fare will definitely be high, considering a distance of 86 kilometers and highway toll fee. Car rental is also a good way for you to go to Yangshuo, especially when you are in a large group, which is convenient and fast. You could rent a private car after you get out of the airport, or you could book a transfer service from a travel agency ahead of time. TopChinaTravel offers private car rental service with licensed driver as well as tour guide. If you need, please contact us. Among these options, option 1 is recommended to tourists with a tight budget, and tourists travelling alone. Option 2 and option 3 is recommended to tourists in need of a convenient travelling. Transfer service from a travel agency is suitable to first time tourists and tourists travelling alone.